E-cigarette companies claim they don’t market to youth, but they are using the same aggressive marketing tactics that Big Tobacco used before there were prohibitions on marketing cigarettes and smokeless tobacco to youth. E-cigarettes are sold in dozens of youth-friendly candy and fruit flavors including bubble gum, gummy bear and cola, and they are heavily promoted on television and radio. The numbers show these tactics are working. The U.S. Centers for Disease Control and Prevention estimated that 1.78 million U.S. youth had tried e-cigarettes as of 2012. The FDA should restrict marketing and flavors that appeal to youth and require packaging and warnings that address the dangers of nicotine poisoning related to e-cigarettes and nicotine refill cartridges. 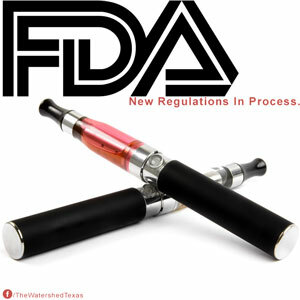 The FDA should also move forward with product standards and regulating nicotine levels. FDA review and evaluation of e-cigarettes must take place quickly so that potentially dangerous products do not remain on the market or allow new products to emerge during a lengthy review process. FDA regulation is needed to protect our youth, minimize the potential harm of e-cigarettes, and ensure the industry is regulated based on sound science. Time will tell whether e-cigarettes help with people quit smoking, but we must be certain that they don’t serve as a nicotine starter kit for a new generation of smokers, and that their hazards are well known to all who may use them. This entry was posted in Legislation, National and tagged e-cigarettes, electronic cigarettes, Family Smoking Prevention and Tobacco Control Act, FDA, FDA Center for Tobacco Products by nycsmokefree. Bookmark the permalink.